With a new year comes new hope; yet as we ring in 2017 there are many wounds, worries, illnesses, troubles and pains that we bring with us into the new year. This worship service will be a time of Hope and Healing. You will feel the Light of Christ shining hope and healing down upon and around each of us, releasing us from all the pain, sorrow and uncertainty that is holding us hostage. We invite you to come be uplifted and find a place filled with the love of Christ. Bring all your worries, fears and pains to feel Christ's healing presence. 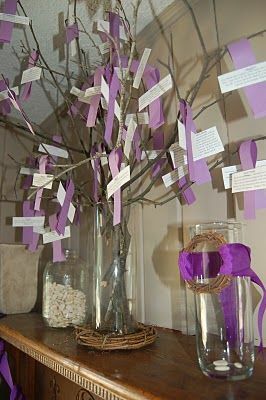 A Prayer Tree adorned with our prayers. Next door to Beal's Park and just off 3A. Pilgrim Church is on Facebook & Twitter!